The Kalaimagal Middle School located in Alandur presented an example of a Tamil medium school in an educational environment that is being fast dominated by English medium schools. This was an interesting observation in addition to a more complex understanding of the flood situation that was triggered further by a lack of planning in drainage systems. Upon visiting the school, I observed the slightly different pattern of recovery from the floods owing to the spatial context of the school as compared to schools visited in the proximity of the Adyar and Cooum Rivers. The nature of flooding owed primarily to the problems of drainage that plagued the school. The Person in Charge informed me about the recurring problems that the school faced in pumping out water from the waterlogged areas of the school during the flood situation. The declaration of holidays following the intensive rainfall saw a minimal need for evacuation as the school staff were the only inhabitants of the affected area during the floods. The Municipal Corporation was informed by the POC following which they aided in the cleanup of the areas filled with sludge and rain water. The immediate provisional requirements were minimal as there were no storages of food that were destroyed. 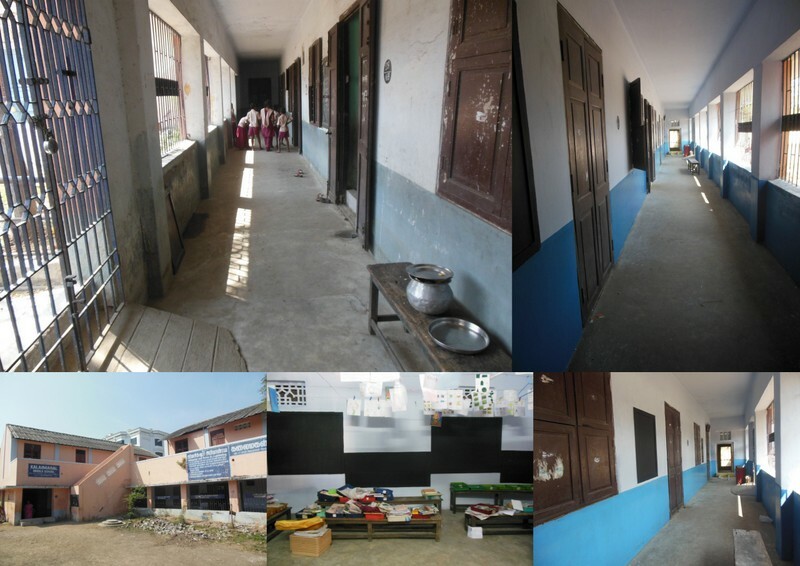 However, the reconstruction and repainting of the school in addition to a need for Computer Systems, Television and DVD sets were undertaken by Bhumi. The need for water purification units was fulfilled by the manager of Toyota, Mr. Narendran. In conversation with the Person in Charge Ms. Sivalakshmi, a significant aspect of the school came into context regarding the declining patronage to Tamil medium schools. Her description of the previously high enrollment rates of students contributing to a school strength of 750 students as compared to the present strength of 20 students brought to the fore a phenomenon that is becoming prevalent in the city as a whole. A consultation of regional and national newspapers further aided in the understanding of the motivation behind such migrations. An article in The Hindu elaborated on the incentives of better uniforms and infrastructure. A reduction in Government funding for these schools in turn affects the quality of education imparted and the number of teachers retained within the setup. On a more positive note, however, the POC elaborated on the methods initiated for the rejuvenation of the school which included door to door campaigns and appeals to the government for increased funding. There was also an emphasis on the importance of voluntary organizations such as Bhumi who came forward to aid it in a situation of crisis. My visit to this particular school raised a question resonating with the contemporary debate regarding the relevance of regional language schools in a time when the knowledge of English as an occupational as well as administrative language has become paramount. It has been seen time and again that students from regional language schools face barriers of language in higher educational and occupational levels. However, financial constraints ensure that regional schools see frequent enrollment of students. Perhaps, a means to bridge this gap would be an improvement in the teaching of English which exists as a second language in higher classes. As a whole, the visit aided my understanding of the spatially and infrastructural contextuality of the floods in Chennai and the significant role of systematic planning in resisting natural disasters.